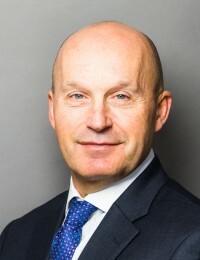 James is an experienced QC providing advice and advocacy services across a wide range of commercial fields, including business and financial contracts, banking, company, insolvency, financial services, civil fraud, professional negligence, real estate and contentious trust matters. Disputes and issues arising, directly or indirectly, from the ownership or exploitation of real property assets feature particularly prominently in James’s work. Much of James’s work has an international dimension with cases involving jurisdictions as diverse as BVI, Cayman Islands, Channel Islands, Cyprus, South Africa, Netherlands, Isle of Man, Gibraltar, New York and Ukraine. Recent editions of the directories describe him as (among other things): “very, very good to work with”, “very user-friendly”, “extremely good in court”, “very good at reading judges and anticipating what they will say”, “a fantastic mind”, “very knowledgeable”, “good strategically”, and giving “concise advice which saves time and instils confidence” (Chambers & Partners 2019); “great with clients”, “strong strategically”, having an “excellent advocacy style”, “very commercial”, and “pro-active and hardworking” (Legal 500 2019); “exceptionally intelligent” with a “brilliant ability to analyse contractual situations”, providing “very balanced and measured advice”, “excellent” advocacy and written work, and “a very safe pair of hands” (Chambers & Partners 2017); “a very talented individual” with a “good client manner” (Legal 500, 2017). Comments in past directories include: “the epitome of the modern QC”; “an excellent legal brain”; “a real team player” who “works alongside everyone to achieve the right result”; “always adopts a practical commercial approach”; “superb at anything”, “excellent”, “a fine barrister with a charming manner”, “very good with clients”, “a first rate intellect with a user-friendly manner that engenders confidence”, “has the ability to digest information and advise coherently on the most complex of legal arguments”, “an excellent communicator who provides supremely intelligent advice”, “very confident in implementing the advice he gives”, “a real specialist”, “his advocacy is fantastic and he is able to sway the judge’s mind”, “a great guy to work with”, “fantastic“, “dynamic“, “level-headed and focused“, “easy to deal with“, “always on top of his cases“, “a splendid understated style“, “held in high regard“, “widely respected“, “meriting the most notable compliments“, “intellectually tough“, “will stand up to anyone“, and “a star of the commercial Bar“. James also acts as an arbitrator, mediator and expert.